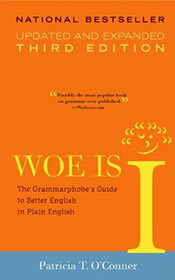 Borrowed Woe is I: The Grammarphobe’s Guide to Better English in Plain English (3rd Edition) by Patricia T. O’Conner from the library to see if I should get a copy for myself. Not five pages into the book, she solved one of the big mysteries in English for me. Even for native English speakers, the choice between using that and which is often made by the “that sounds right” guideline. I’m all for using one’s instinct but when I put my pen to paper, that method doesn’t work. This entry was posted in I Learned This and tagged grammar, that vs which, writing by n2n. Bookmark the permalink.